High concept movies can be difficult to market. If the film itself, or the campaign to sell it to audiences doesn’t resonate, then no one is going to see it. 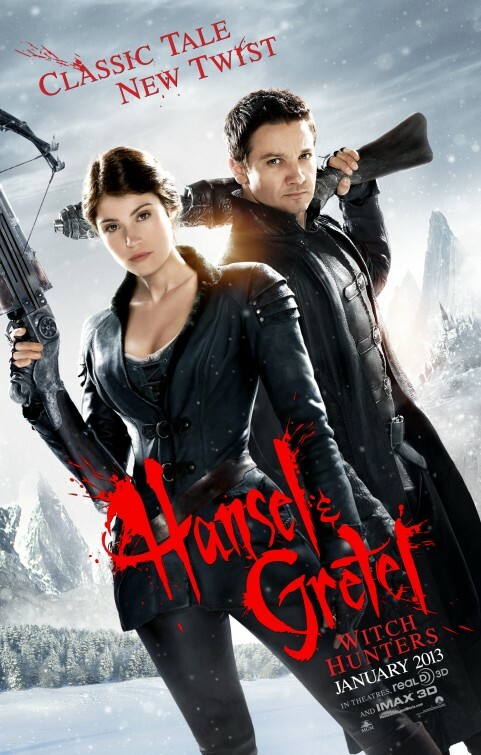 So now there’s “Hansel and Gretel: Witch Hunters,” which on the surface shares some similarities with the aforementioned Abraham Lincoln film. Another reason is that it is directed by Tommy Wirkola, who did 2009’s “Dead Snow,” which was essentially Sam Raimi’s “The Evil Dead,” with a dash of John Carpenter’s “The Fog,” which would have played like a rip-off of those films if it weren’t for the obvious love Wirkola held for his subject matter. The trailer is nothing like last week’s “Evil Dead” reboot, in that, while there are gory moments, it’s played with comedic overtones, which makes it much less jarring. Posted in horror, Movies, Robots and Zombies, Trailer Park, upcoming.Tagged Jeremy Renner, Tommy Wirkola. Next Post Jamie Foxx As Electro?